On Saturday afternoon at the Stade de France, half an hour before the home team take on England in the Six Nations Championship, Bernard Laporte will shake hands with Edouard Philippe, the French Prime Minister, and Bill Beaumont, the boss of World Rugby, and officially begin France’s run-in to hosting the 2023 World Cup. It is unlikely Laporte, the chairman of the French Rugby Federation (FFR), will take questions from the assembled press on the public prosecutor’s ongoing investigation into his alleged conflict of interest – but with the state of the Gallic game as it is, how can anyone be sure? France are a global power of rugby in disarray. No team, including England, can match their Six Nations record in the open era: Grand Slams in 1997, 1998, 2002, 2004 and 2010. But the last-named year was the fin de siècle: from 2012 to 2016 they finished in the bottom half of the table every season. The country will stage the 2023 World Cup in big, gleaming football stadiums, having promised hundreds of millions of pounds in revenue. But the calamities among their rugby men have been mounting up. On the field, the end to Guy Noves as national coach came with a 23-23 draw at home to Japan last November. The sports newspaper L’Equipe claim Noves and his assistants are still waiting for their pay-off. 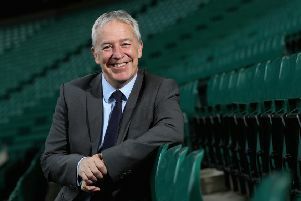 Off the field, new coach Jacques Brunel, pictured – 64 years young – dropped eight players who went on a bizarre night out in Edinburgh after losing 32-26 to Scotland three weeks ago. They included the effervescent try-scoring wing Teddy Thomas and the battering-ram No 8, Louis Picamoles, both of whom might have given England sleepless nights. After the misbehaving group’s mostly sleepless night in the Scottish capital, Arthur Iturria, the lock, and Geoffrey Palis, the full-back, both attributed facial injuries they had suffered to accidental collisions with hotel-room furniture. The truth, according to some French newspapers, was a brief fight outside a nightclub, before at least one woman joined players in a hotel room. Scottish police delayed the French team’s flight the following morning to make inquiries, but brought no charges. Nevertheless Mourad Boudjellal, the chairman of Toulon – one of the powerful French clubs whose legion of foreign players may have weakened the national side – commented archly in a video blog: “Thanks to Les Bleus, Edinburgh has become the capital of spanking”. Then there is Laporte. The indomitable former France coach and minister for sport had his FFR office and home raided in January over a possible conflict of interest due to his business dealings with Mohed Altrad – another of the club owners, at Montpellier, who has his company name on France’s jerseys in a big-money sponsorship. As for Brunel, he came into the job with conciliatory talk of several club coaches helping him out. When I asked him at the Six Nations’ media launch for some names and how it would work, he muttered vaguely about getting everyone on the same page. He was much less equivocal after Edinburgh. The dropped players have stayed dropped and in the next match, a ho-hum win over Italy, wing Benjamin Fall and stand-off Lionel Beauxis made their first starts in five and six years, respectively. Bearing in mind it has become almost impossible to predict any France line-up, to lose half the team as a disciplinary measure must have hurt. Brunel’s initial selection, remember, were a last-minute drop goal by Johnny Sexton away from beating Ireland in their opening Six Nations match this year. Nick Abendanon, the former Bath and England full-back, has played for Clermont Auvergne in France for the last four seasons, and three of his club-mates – Sébastien Vahaamahina, Rabah Slimani and Rémy Grosso – are in the squad to meet England. Another, Remi Lamerat, was one of those jettisoned, post-Edinburgh. “The players are definitely there in France,” said Abendanon. “Unfortunately Antoine Dupont and Matthieu Jalibert, the young scrum-half and fly-half, both got injured in the Ireland game. Morgan Parra would have come back at scrum-half, but he got injured. They have tried God knows how many partnerships at nine and ten, and they all do different things, and the rest have to adapt. “Generally, from what I’ve been hearing, everyone in the French camp seems a lot happier under Brunel. But if I was the French coach, I’d put in a five-year plan to get this team back into the condition you need an international team to be in. “The French are still very lackadaisical; they’re not anywhere close to being as professional as the young players coming through in England. Here in France, they rely a lot more on their talent and raw skill. Rather than working as hard as you need to work at international level.